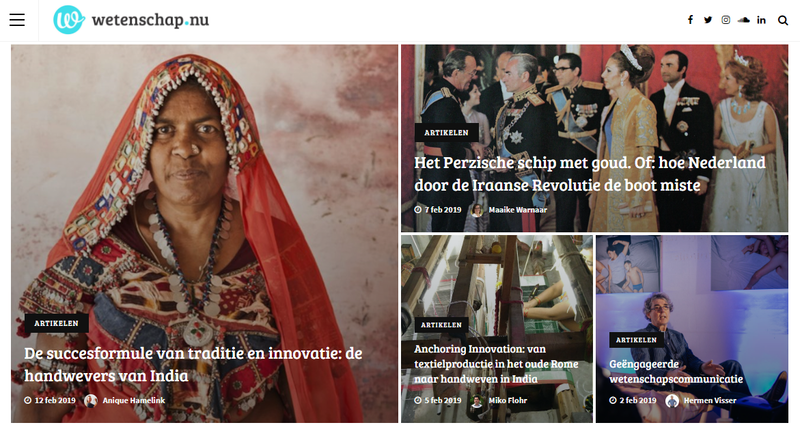 Leiden Arts in Society Blog - Articles - How to share your research with the world? On blogs and other platforms to share academic research and what universities and funding organizations can do to help. On January 30 I attended a symposium on academic blogging, organized by Marc van Oostendorp, Jona Lendering, Hermen Visser, and Marten van der Meulen at the Meertens Institute. At this event not only blogging was discussed, but also other ways in which research can be communicated to a wider audience. In the spirit of communication, I will share some of the insights gained from the lectures and discussions in this blog post. I will discuss the various platforms academics can use to share their research, and make some notes on the ways universities and funding organizations could facilitate blogging and other forms of public outreach. Where to share your research? The most discussed platform at the symposium was of course the blog. Some researchers have a personal blog, others contribute to a group blog. Group blogs exist in different forms: connected to a university, faculty, or institute, such as the Leiden Arts in Society Blog and the Leiden Law Blog; initiated by researchers from different universities with a similar interest, for example Over de Muur; or general rather than thematic blogs, such as Wetenschap.nu. Group blogs enable researchers to share research without feeling the pressure to write something every week. Moreover, as Jona Lendering from the Antiquity blog Mainzer Beobachter argued, the general public is usually interested in broad topics such as ‘Antiquity’, ‘Islam’, or ‘Climate Change’, and is not aware of specialized subfields. As I have experienced in writing this blog, however, group blogs also have disadvantages: the individual blogger has less freedom and flexibility. I would have liked to share this blog sooner after the symposium, as many attendants did, but was not scheduled to publish something at that point. Another issue is the choice of language: the Leiden Arts in Society Blog only publishes in English. Being a part of a dialogue in Dutch academia, it would perhaps have made more sense to write this post in Dutch. For (Dutch) blogs on a wide variety of academic topics, visit Wetenschap.nu. Researchers can also reach a large audience through traditional media such as television, radio, and newspapers. Especially the latter might not be very different from writing for a blog; as blogger and columnist Sara Polak, said, she does not experience much difference between the two. Moreover, blogging will make you more visible to traditional media; several blog posts on the Leiden Arts in Society Blog have led to radio appearances by the authors. If you are interested in being approached by traditional media it might also be a good idea to let the communication office at your university know, since they usually receive requests for experts on specific topics. Another way for academics to share their research is social media. It has become acceptable for academics to be active on platforms like Twitter, even during working hours. Some fields have even developed their own hashtags – I use, for example, #medievaltwitter, #twitterstorians, and my favourite: #nuntastic. The hashtag for the symposium was #wetenschapsbloggers19. Another platform that was discussed at the symposium is LinkedIn. Especially if your research is relevant to a people working in a specific field, such as museum professionals, ‘blogging’ on LinkedIn can be an effective way to reach your target group. Podcasting set. Photo by Patrick Breitenbach (source). If you want to go further than blogging, vlogging or podcasting might be your thing. Karin van den Boogaert makes the podcast Wetenschap.nu, featuring interviews with academics, and shared some of her best practices. For example, she makes sure episodes are under 30 minutes, the length of the average commute. 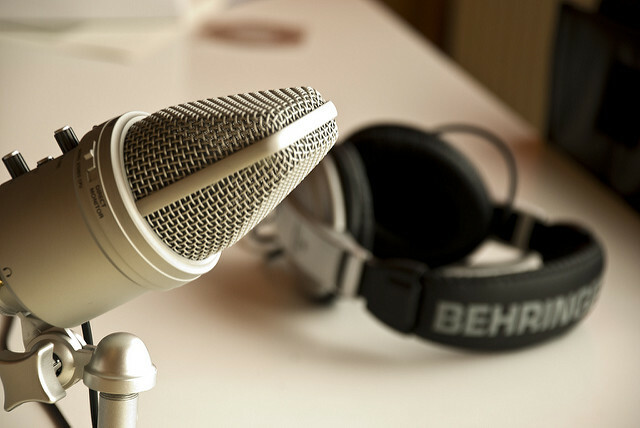 To record a podcast you can rent a studio or buy a basic recording device. A podcast that I find interesting in its format is Secret Feminist Agenda by academic Hannah McGregor. She experiments with peer review, making the podcast itself a form of research output instead of ‘mere’ outreach (more about the ways these activities are valued below). Yours truly ended up in a radio studio because of a blog post. Photo by the author. What do researchers need from universities and funding organizations? Giving a higher value to outreach activities such as blogging in grant applications and hiring processes. It is clear that the last word about the future of academic blogging has not yet been spoken. I sincerely hope the symposium will have a next edition. Perhaps this time the real minister of education will attend and get inspired to arrange proper funding. For a list of blogs by Leiden academics, see this overview. Leiden University has recently launched a podcast called Enkeltje Wetenschap. Read other blogs about the symposium by Annelies van der Ham, Jona Lendering, Marten van der Meulen, Marc van Oostendorp, and Hermen Visser. © Lieke Smits and Leiden Arts in Society Blog, 2019. Unauthorised use and/or duplication of this material without express and written permission from this site’s author and/or owner is strictly prohibited. Excerpts and links may be used, provided that full and clear credit is given to Lieke Smits and Leiden Arts in Society Blog with appropriate and specific direction to the original content.